Michelle was named Star2Star's President in January 2017 after serving as the company's Chief Operations Officer and Chief Marketing Officer. Regarded a technical thought leader on next-generation marketing and communications strategies, Michelle's book, Agile Marketing, chronicles her experiences applying agile methodology to the marketing process for better results and faster time to value. She brought her substantial executive-level and tech industry experience with her to Star2Star, having driven innovative, agile, revenue-producing field and channel marketing programs for one of the world's most relied upon technology companies, Computer Associates. In 2016, Michelle was named to the CRN 2016 Power 100 - an elite subset of CRN's prestigious annual Women of the Channel list - for the second year in a row. In 2015, she was named a CRN Channel Chief, an annual list representing select leaders in the IT channel who hold direct responsibility for driving growth and revenue through the reseller channel. In 2014, Michelle was honored to be named Businesswoman of the Year by the Tampa Bay Business Journal. 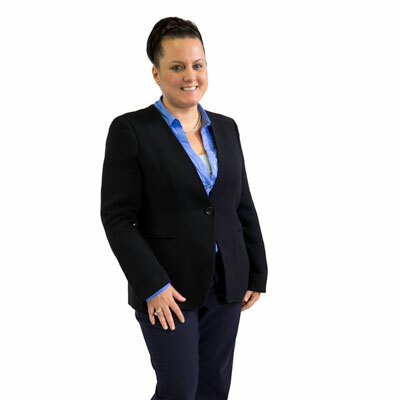 Michelle holds an MBA from American Intercontinental University and earned her bachelor's degree from the University of South Florida. As President and Chief Revenue Officer, Michelle's inspires and maintains growth for the company and its partners and ensures that customers get significant value from Star2Star's products and services. Michelle works with Star2Star's executive leadership team to define long-term vision and operational strategy to assure that growth and market potential are achieved. Michelle engages and listens to employees, partners, and customers to gather information needed to keep Star2Star on the optimal strategic path. In this way, customer success is assured as employees and partners are inspired to deliver an excellent product and experience with every interaction. In her previous position as the company's Chief Operating Officer, Michelle used these same methods to develop new processes and systems to streamline business interactions. She grew departmental leadership and expanded Star2Star's support capabilities to better serve customer and partner needs. Our primary goals are threefold. One is to continue adding new products and services at the same rapid pace we have maintained under my leadership. Star2Star intends to push the envelope and provide the most value to our partners and customers. We are also continuing our major push for enterprise and international customers. Our recent technological deployments have largely been geared towards helping us reach this goal. Finally, we are always actively looking to recruit more and larger partners. In the last year, we signed several of the largest Master Agencies, and we plan on signing several more in 2017. In 2016, Michelle was named to the CRN 2016 Power 100 - an elite subset of CRN's prestigious annual Women of the Channel list - for the second year in a row. This meant a great deal to me because I have always looked at my career as a journey rather than a single goal. Demonstrating excellence over an extended period of time is very hard and takes long-term dedication and effort. Marissa Mayer, the current President and CEO of Yahoo!, is a woman I have always admired. Marissa and I are very close in age and both lead major international technology companies. Although we came up through our companies differently, her through software and I through marketing, we have both had to navigate the leadership ranks of a traditionally male dominated field. I have also been impressed with her ability to wear a number of hats, including mother, programmer, and executive, while holding positions on numerous business and charitable boards. Seek out a network of men and women you admire and respect, and ask for their advice and help in growing your career. You won't get what you don't ask for. Don't be afraid to speak up for yourself and your ideas when you know you're right. Don't let yourself be dismissed. I would be Princess Leia from Star Wars. I've always been a hig Star Wars fan, but more importantly I've always admired her strength. She was the unquestioned leader of the Rebellion and always acted with confidence and skill. She saved the day a number of times without needing anyone else's help. I would go to Gaborone, Botswana. I absolutely love animals and nature. They've always been my passions. It's been my dream since I've been a little girl to go on an African safari, and Botswana is home to some of the most spectacular wildlife spectacles in the world, like the Okavongo Delta, Kalahari Desert, and Chobe National Park.